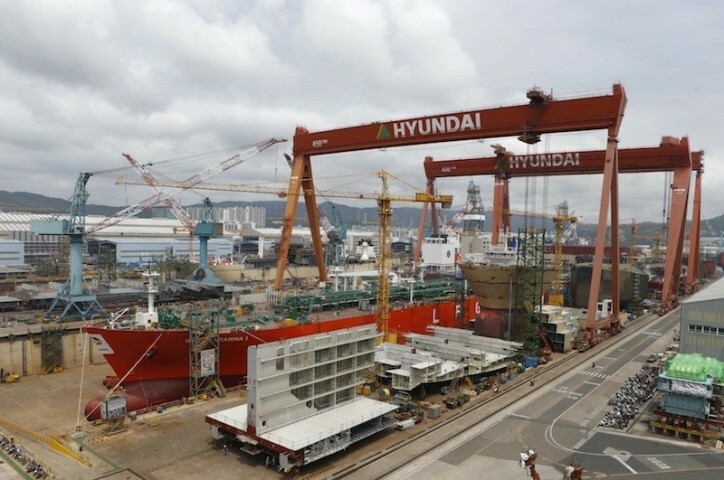 Hyundai Heavy Industries (HHI) Group proclaimed today it will invest USD 3.1 billion in R&D by 2021 as it hails the first day as the four independent companies; Hyundai Heavy Industries; Hyundai Electric & Energy Systems; and Hyundai Construction Equipment; and Hyundai Robotics. Along with the investment announcement, HHI also unveiled Technology and Quality-Centered Management Strategy. Under the plan, the new HHI will invest USD 1.8 billion in developing eco-friendly and smart ships, enhancing offshore engineering capability, and establishing smart ship yard. Hyundai Electric & Energy Systems (HEES), Hyundai Construction Equipment (HCE) and Hyundai Robotics (HR) will also make an investment of USD 640 million, 620 million and 90 million for technological innovation respectively. In the longer-term, HHI Group plans to spend 6-7% as a percentage of annual sales in R&D. For quality enhancement of its products and services, HHI will set up lessons-learned database by accumulating engineering failure cases while HEES, HCE, and HR will further accelerate technology development drives to secure competitive product lineup. Moreover, the four companies will appoint chief technology officers in charge of driving product development, drafting technology strategy, and nurturing human resources, and expand numbers of researchers to 10,000 from current 4,000. HHI Group also introduces new HR management system that simplifies current 5-tier ranking system to 3-tier one to build up horizontal and creative organization culture and to liven up communications among employees. The companies also introduce performance-based pay system marking the departure from current seniority-based one.